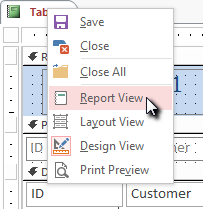 Next create a new report. Now add the ActiveBarcode control to the report. You must be in "Design Mode" to do this. 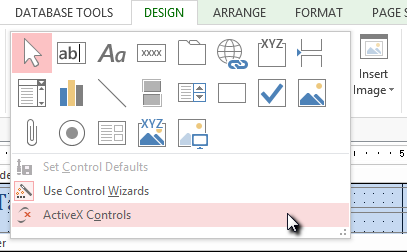 Select the "Design" tab. 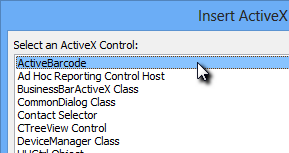 Click on the button "Insert ActiveX control" from the range of "Controls". 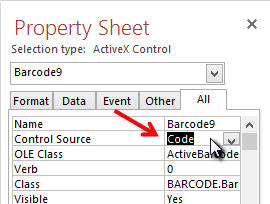 Select "ActiveBarcode" here and click OK. Now the barcode object will be placed in your report. This will be a standard barcode of EAN-128 type. This is the default type. Now you can modify this barcode. You can change the type, text, colors etc. For this click inside the barcode with the right mouse button. A pop up menu will open. Now place and resize the barcode element for your needs. 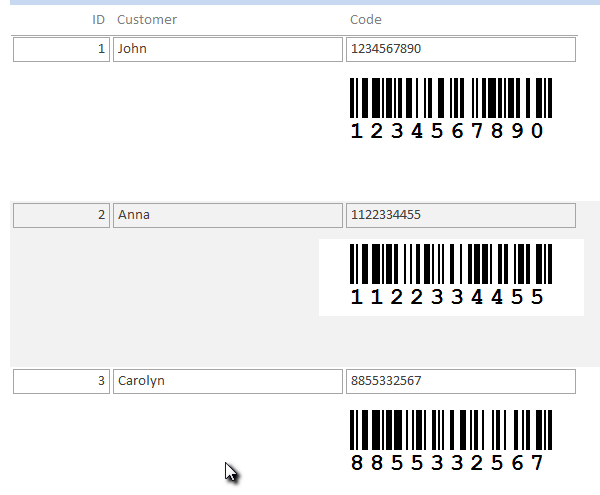 Next we bind the controls text property (the barcodes content) to the data field "Code" of the database. 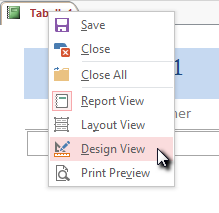 Select the "Design" tab. Click on the button "Property sheet" from the range of "Tools". 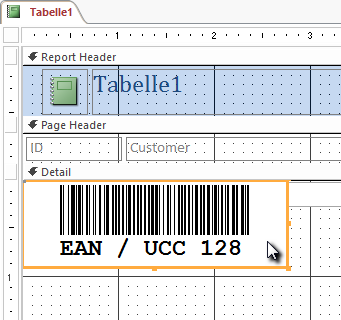 The barcode control is bound to the data base field and shows the code of the current data set as EAN-128 barcode. One last hint: A report is designed in a lower resolution that it is using while printing. So it may be required that you create the barcode control with a much bigger font size than you would normally use. Otherwise the text line under the barcode may be very very small in your print.